Home Pyteca Releases Techno Vincenzo Pizzi Vincenzo Pizzi announce a forthcoming new release in his own label that brings a unique electronic techno experiment. Vincenzo Pizzi announce a forthcoming new release in his own label that brings a unique electronic techno experiment. Overview. 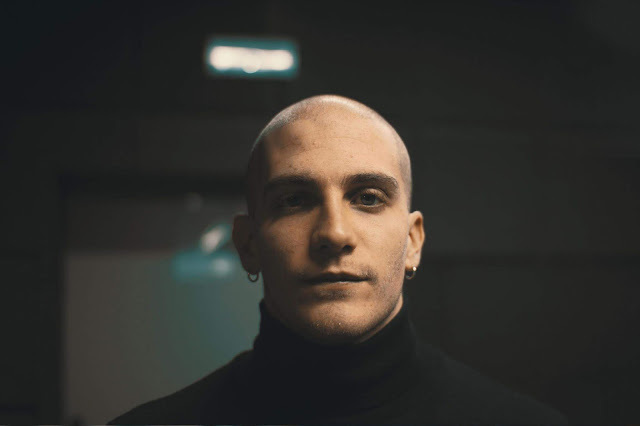 Italian producer and live performer Vincenzo Pizzi may still be a relative newcomer to the scene, but his rise has nonetheless been meteoric. After his graduation from Naples’ Nut Academy and a degree in sound design at IED in Rome, his masterful blend of electro, IDM and techno has brought him releases on Secret Keywords, Labrynth, Blackwater and Absolute Records, to name but a few of the labels who have seen action from this prolific young producer. On top of this, he has found the time to set up and run his own Pyteca imprint, which will see its latest release in the form of Pizzi’s upcoming ‘Affrettati Lentamente’ LP. The name of this release could not be more apt; meaning ‘hurry slowly’, it gives away the album’s key theme of contrast running throughout every track. Ambient soundscapes are underpinned by thumping techno beats, industrial noise is counteracted by uplifting electro and house influences, and fast and slow dynamics run concurrently to deliver a fascinating layered release. The opener ‘2808’ sees acid rise to the top and launch into a punchy sonic assault as an exhilarating start to the album, before fading into the more muted ‘Misericordia’, a more spaced-out but equally driven menacing cut. The fast pace and two-step beat of ‘Ljuwa’ combines a minimal shuffling beat and squelchy 303 bassline then plummets into another mind-bending dimension, which is then taken back down to earth by the pounding beat, gripping riffs and buzzing industrial ambience of ‘Vernäta’. ‘Blow’ slowly rumbles to life, and the compelling beat finds a counterpoint in the drawn-out rasping synths until breaking down into an intense climax. As we near the halfway point of the release, the frenetic hustle of noise found in ‘Altrove’ winds tself around a pacy beat, and soon fades out again into transcendent ringing pads. After the eerie synths of ‘Margot’ bubble into an arpeggiated paranoia-inducing rattle, Datsca builds upon it further, and then brings it home to a driven beat and gripping melody. The pace is quickened by the gritty, industrial beginnings and uncompromising breakdown of ‘Pay’, before being slowed once more by the fascinating ‘Confused’, a deconstructed club track with off-beat rhythmic devices and a softer, breakier backbone. Launching us into the endgame of the release is ‘Festina Lente’, beginning in a low-key fashion before catching you up in its momentum, hitting you with layers of old-school breaks, wobbly basslines and exhilarating vocal snippets. The subsequent ‘Quandohote’ is forward-looking and less dense, delivering an otherworldly atmosphere with an intensity that is slower and more measured. Mattia Trani’s remix guides us to the conclusion with a deconstruction of the previous track, resulting in a cosmic, breakbeat-fuelled track that floats along over a driven core, bringing this release to a mesmerising close. This unique electronic experiment must be experienced to be believed, and you can experience it for yourself on the 28th of February via Pizzi’s own Pyteca label.